The team came together at Kiki‘s place in Dortmund to discuss our favorite releases of 2018 on a new episode of the Metal & High Heels Podcast. Spoiler alert: this year didn’t bring many highlights but we still managed to discuss the expectations we set at the beginning of the year. 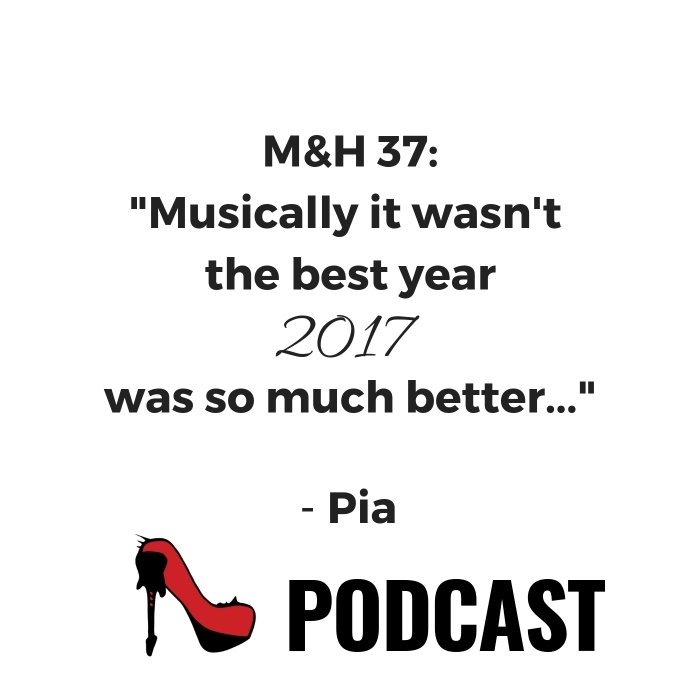 Metal & High Heels Podcast – Episode 37: our review of 2018. Recorded on December 1st, 2018. Other interesting upcoming releases: TARJA, TOOL, EVANESCENCE, CHILDREN OF BODOM, AVANTASIA, BEAST IN BLACK, BELZEBUBS. Festivals we’re thinking of attending in 2019: Heaven & Hell Festival, Sweden Rock. What are your Metal highlights of 2018? And what are you looking forward to in 2019? Tell us in the comments – and share this article! You can also send a short voice message to our Facebook page to have your voice played on the show! Or tweet at us: @metalhighheels!